Parbold Douglas Music presents the unique, exclusive, first partnership of the superb cellist Natalie Clein performing with the internationally acclaimed pianist, Peter Donohoe. The audience will have the opportunity to listen to two superlative musicians in Parbold’s acoustically perfect setting. Earlier this month news came that Natalie’s pianist for her Parbold concert was unavailable. A search began for another pianist. At the same time Peter Donohoe was in Parbold in early March to play a concert. He immediately volunteered to work with Natalie. 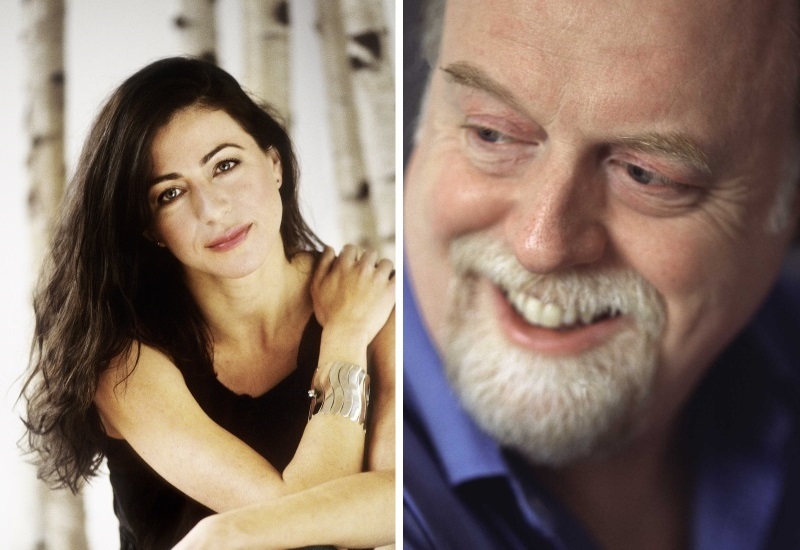 Messages flashed across the globe to Australia, the USA where Natalie was touring, and finally to the UK, and that is how this unique and exclusive pairing of the dazzling, cellist virtuoso, Natalie Clein and one of the foremost pianists of our time, Peter Donohoe, came into being. Their programme will include Rachmaninov’s Cello sonata, one of the most famous romantic pieces, composed at the same time as the popular Second Piano Concerto. Australia’s Sydney Herald reviewed Natalie’s recent performances as ‘a near flawless evening of 24-carat music-making… the evening’s spectacular highlight: Rachmaninov’s ferociously demanding Sonata -From the first bar it was an astounding, boundless performance, worth its weight in gold.” As well as the Rachmaninov they will perform Ralph Vaughn Williams’s pieces based on English folk tunes, the early twentieth century English woman composer Rebecca Clarke’s Sonata for viola and piano, and Brian Elias’s L’innominata. “I cannot imagine a living pianist capable of improving upon Donohoe’s outstanding artistry.” Musical Opinion, January 2017. Born in the United Kingdom, Natalie Clein came to widespread attention at the age of sixteen when she won both the BBC Young Musician of the Year and the Eurovision Competition for Young Musicians in Warsaw. Described by the Times as ‘mesmerising’ and ‘soaringly passionate’, British cellist Natalie Clein has built a distinguished career. Natalie is a Professor at the Royal College of Music London and Music Academy Rostock. This will be Peter Donohoe’s second visit to Parbold in only a matter of weeks and we can look forward to him returning again with Martin Roscoe later in April for the two-piano Gershwin concert.. In the years since his unprecedented success as Silver Medal winner of the 1982 7th International Tchaikovsky Competition in Moscow, Peter Donohoe has built an extraordinary world-wide career. He is acclaimed for his musicianship, stylistic versatility and commanding technique. Parbold Douglas Music is proud to present such a special and a rare event, not to be missed.